Six great date night ideas for Valentine’s Day, or your average Thursday. 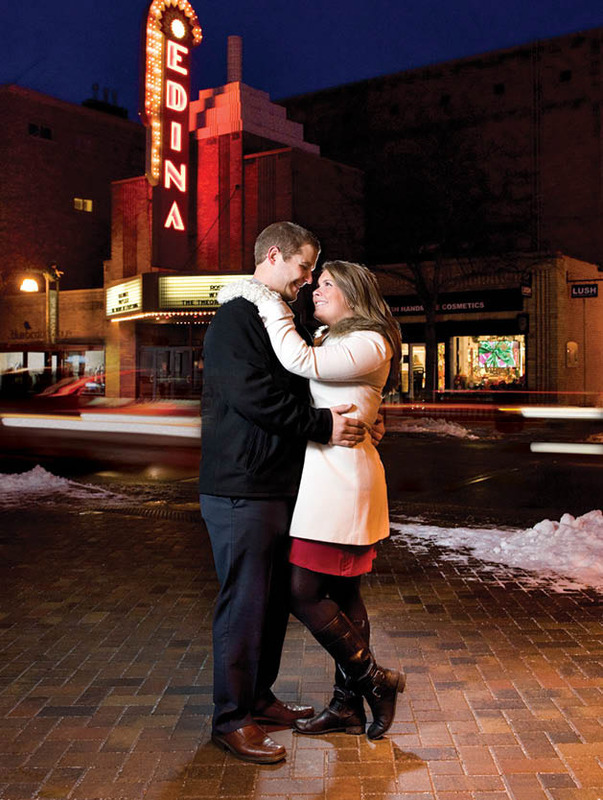 Dinner and a movie is a great way for Edina couples like Andy and Katie Leer to enjoy a romantic evening together. Valentine’s Day is approaching, and so is the pressure to bring together a perfect date night. Don’t worry—we’ve got your back. We’ve put together a list of creative date night ideas you and your sweetheart might enjoy. But why save a great date for February 14? Edina is full of places to go on dates any day of the week. So whether you’re planning an “any day” date or want to switch up your Valentine’s Day routine, here are some options for entertainment, relaxation and education to bring you and your date closer together. If closeness is what you’re looking for, what’s better than a dark movie theater to bring back that spark of young love? Landmark Edina Cinema is a great place to go on a classic date, modernized by films you won’t see in the megaplexes. “People want to watch something thought provoking,” manager Jed Schlegelmilch says of the movie selection at Landmark. Known for showing “indie” flicks and limited release films, Landmark is a great spot for film buffs. For those who want dinner and a movie, Landmark teams up with Mozza Mia Pizza Pie and Mozzarella Bar across the street for date night deals all year round. For just $45, a couple can get pizza, a bottle of wine, dessert and two movie tickets for Landmark, which Schlegelmilch says is a popular option for those on a budget. And “you can share a popcorn,” Schlegelmilch says. “What’s more romantic than that?” So flash back to high school and let your fingers accidentally brush up against your date’s as you reach into the buttery bowl. An oldie but goodie, the movies will always be a top date-night spot. If you’ve overused the movie night routine and are looking for something new, treat yourself and your date by scheduling a couple’s massage at Elements Massage. No need to be nervous if one or both of you haven’t had a massage before. “We have a really nice couple’s space in our Edina location,” says Megan Dewey, sales and client services manager. You will be together the entire time and might even get a sweet treat if you go on Valentine’s Day, Dewey says. Usually around Valentine’s Day, Elements Massage offers a special deal—for example, spend $100 and get a box of chocolates. “There are a lot of options for massage out there,” Dewey says. “What sets us apart is that we do therapeutic massage.” So if you and your date are athletes or in the golden years, the massage therapists will know exactly how to treat your body based on your daily activity and where your trouble spots are. “We don’t do a cookie-cutter massage,” she says. And if you’re not an athlete but still want an excuse to get a massage, they’re also great for your body in the winter, when your muscles are frequently bracing against the cold. So warm up, loosen up and try something new together. Maybe you and your date want to loosen up in a more active way. It may be time to get creative together and take a class at the Edina Art Center. You can take classes in clay sculpture, painting and more, and it’s pretty common for couples to come in together, says customer service specialist Sally Wylie. If you’re looking for something specific to Valentine’s Day, check out the Art Center’s “Amore and Clay” class. On February 7, you and your date go to the Art Center and make projects together, and then you come in on Valentine’s Day and glaze the pieces, which will be ready for pickup two weeks later, Wylie says. “It’s fun for bonding and creating something together.” And it’s sure to bring you closer, as “the creating process is really about communication,” she says. Whether or not you want to take classes for Valentine’s Day, it makes a great date for couples looking to do something new. The creative process forces you to set aside all the worries of the day and focus on a project in front of you. “It’s almost like a little getaway that you can experience with your significant other,” Wylie says. If what you and your date really want is to go out to dinner on a night when it’s easy to find a babysitter, Tavern on France has specials on Mondays and Thursdays, when sitters typically don’t have other plans. Mondays would be a good date night for all-you-can-eat fish and chips, and Thursdays for the prime rib. Tavern on France general manager Megan Clark says there are many reasons why it’s a good date night spot, including the food, affordability and “a lot of booth seating,” for those who want to be a little secluded from the crowd. “And we also have an awesome dessert menu,” Clark says. Make a Valentine’s Day reservation for the date night special, which typically costs $65 and includes an appetizer, soup or salad, two entrées, dessert and complimentary champagne. Pop the bubbly and treat yourself and your date to a delightful night away from home. Maybe a spa day has been brought up before, but one of you isn’t so sure about facials and skin therapy. Try the Day Spa, where they go out of their way to make couples comfortable. “We always bring our couples back to the mid-lounge, which is a little more private,” says Denise Obermeyer, manager. And the service begins even before your treatment, as they bring guests heated neck wraps. If the man in your relationship is the nervous one, he has nothing to worry about as the Day Spa stays away from pink and frills. “Once men come in here, they’re more comfortable,” Obermeyer says. “We’re very gender neutral.” There are fitness facial and sports pedicure options for the men (and women) who are tough on their skin but don’t want glam. If you’re looking for a deal, the Day Spa always run a Valentine’s Day special, usually taking $25 off for each person or $50 per couple for an 80-minute massage. Jump out of your comfort zone and get comfortable at the spa. 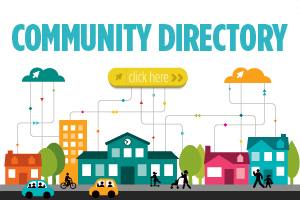 Perhaps you and your date are into learning adventures, in which case taking a class through Edina’s Community Education Services is a great way to get closer. Some classes available in February: Everyday Improvisation, where you and your date will learn basic improv skills sure to start some laughs; Danish Ebelskiver and Norwegian Waffles, where you’ll get a little messy in the kitchen and learn how to make the traditional Scandinavian dishes; and Swing Dance: One Night of Fun Moves, where you and your date can take a spin around the dance floor.